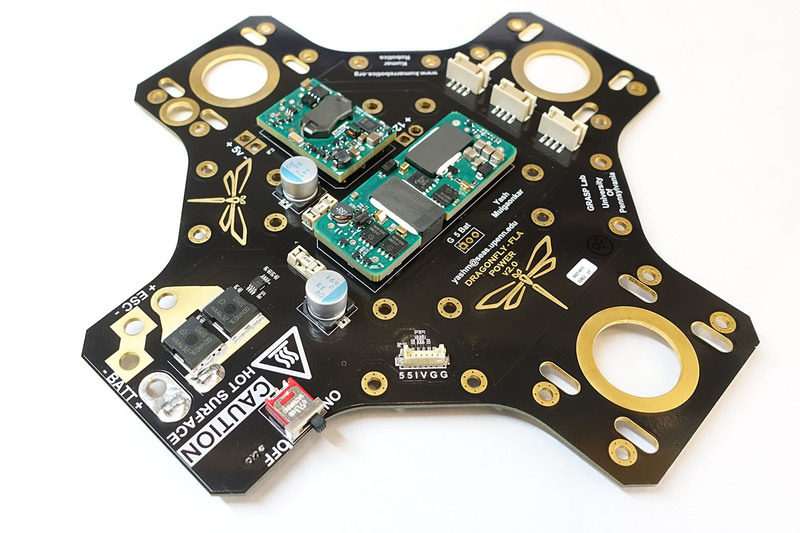 This custom designed power distribution board eliminates the need for individual power supplies for the onboard computer, sensors and other components on the Falcon 450 robots. Additionally, this board doubles as the top plate of the Falcon 450 airframe, eliminating the need for an additional structural element and thus, saving weight. This board provides power from the LiPo battery through a MOSFET switch to two high-current isolated DC-DC converters. 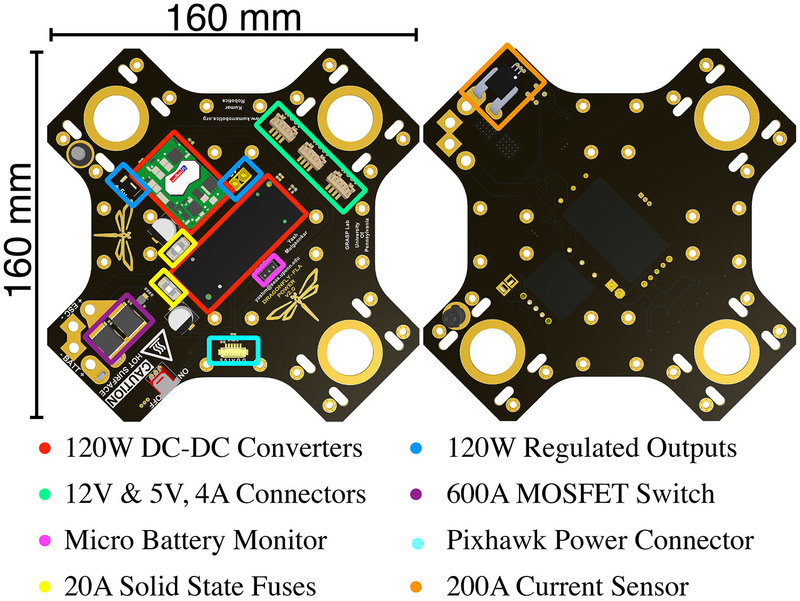 This board also has a dedicated port compatible with the power port on a Pixhawk flight controller. Other features include battery monitoring, current sensing, protection fuses, noise filters and mounting points for additional components like cameras.